Wall mural Diamond lilies. 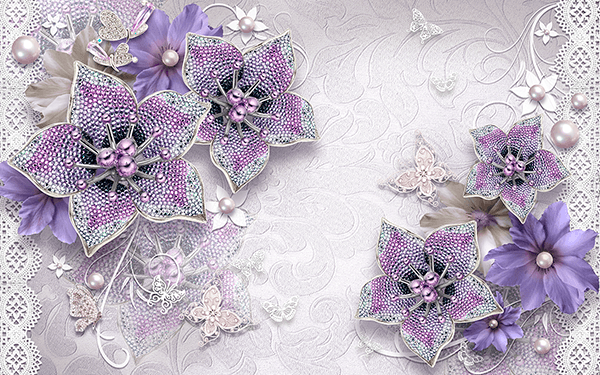 Amazing diamond jewellery made up of white gold, pearls and white and purple diamonds. For its spectacularity could be used to decorate the wall of a bedroom as a headboard, for a jewelry. In the background there are floral ornaments.